Having full, volumized lashes is key to making your eyes really stand out, look fashionable, and catch attention. Curling your lashes properly and applying mascara can go a long way in making you look more awake, but there’s nothing wrong with giving your lashes a little artificial boost if they happen to be too thin to make a statement. If you’re a beginner and intimidated by fake eyelashes, fear not. Below, we give you the lowdown on everything you need to know about them. 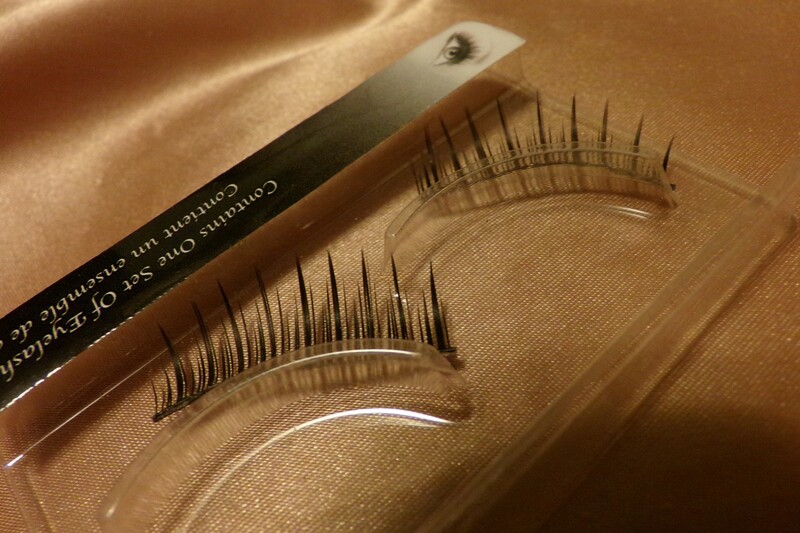 When buying false eyelashes – falsies, for short – you have the choice between those made with natural human hair, or synthetic. It all comes down to your preference and budget. You can opt to buy a few variations to try and figure out which kind you like better. You may find yourself overwhelmed when faced with a myriad of fake eyelash choices: Missha’s Salon De Lash, for example, comes in a whopping thirteen (13) variations! This is to accommodate eyes of all sizes and shapes, as well as address specific concerns. If you have small eyes and you’d like to make them look a little longer, use lashes that are thicker in the outer corner to add some lift. For wide-set eyes or monolid eyes, you’ll want to emphasize the center of your eye with falsies to really open your eyes up. Meanwhile, those with deep-set eyes will really benefit from longer lashes. It’s best to choose falsies that approximate the natural curve of your eye for two reasons: one, they’ll look more natural, and two, they’ll be easier to put on. If you have very sparse or thin lashes that don’t show up regardless of how many coats of mascara you swipe on, you’ll be best served by fake eyelash strips. Meanwhile, if you’re satisfied with the look of your lashes and just want to give them an extra boost – maybe for a special occasion – you can use individual lashes or “invisible strips”. These are very thin falsies designed to be applied one by one to spaces where you think you might need a few extra strands. Both types have their pros and cons. Fake eyelash strips offer a bold, dramatic statement with how dense and thick they are, but you’ll definitely feel them on your eyes, and the sensation may be uncomfortable or heavy. Individual lashes, on the other hand, are infinitely more comfortable – thinner strips are more imperceptible, lighter, and more natural-looking, but applying lashes one by one requires a certain amount of finesse and precision, unlike strips that you can pretty much apply in one go (with a little practice). Falsies are tricky to apply, and it’s rare for anyone to get it right the first time. You’ll want to practice with your new fake eyelashes a lot to get a feel for how they’re meant to go on, how you like them shaped, and what angles you’re most comfortable with when applying them. You can size your lashes by holding them up against your eye and trimming off the excess with a pair of safety scissors. The shorter the length of the strip, the easier it is to place. Beauty experts suggest using a great lash glue – there are formulas that dry down clear or black – and applying with a light hand. Refrain from using too much lash glue, as you may end up ruining the rest of your makeup in the process. Wait for your lash glue to get a little tacky and sticky, which takes about 15 seconds or so, and then place the lash where you need it to go, as close to your natural lash line as possible. Make sure that they’re angled the same as your natural lashes. Once they’re on, don’t forget to blend your real and fake lashes with mascara for a natural look. Taking off your lashes should be a fairly painless process. Use an oil-free makeup remover to soften the lash glue and they should slide off easily. You can also save yourself a few bucks if you choose to cleanse and reuse your falsies. Use a water-based product and a Q-tip to get any leftover bits of glue, mascara and makeup off the hair strands and keep them safe in a clean plastic container, or even the box they came in.